Lucy Renner doesn’t believe in the magic of Christmas or forever after. 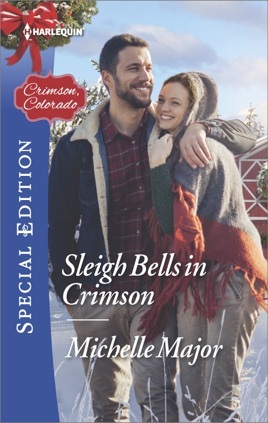 Yet here she is in holiday-obsessed Crimson, Colorado, for her mother’s fourth walk down the aisle. But it’s the handsome-as-sin cowboy cradling a stray kitten who gets her blood racing! Even if Caden Sharpe is rude, surly and just plain Grinch-like, how can a man who finds homes for unwanted pets be all bad? These days, former soldier Caden Sharpe is more comfortable with the animals he rescues than people. 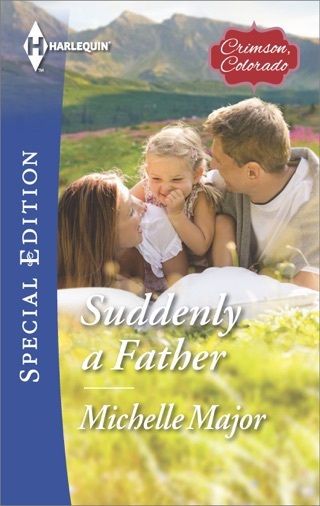 But now his widowed father is engaged to Lucy’s thrice-divorced mother, and Caden is determined to keep him from making a huge mistake—even as he finds himself falling for the bride-to-be’s lovely daughter. 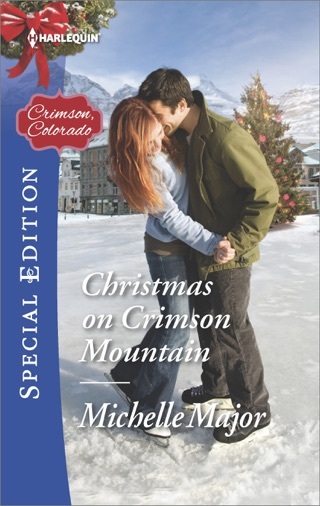 Will Crimson see a last-minute holiday exchange—at the altar? I can always count on Michelle Major to give me the feels! 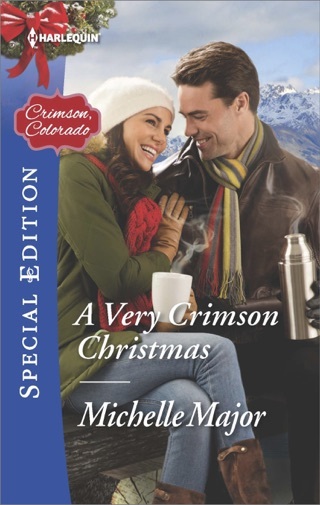 She packs a powerful punch in the latest book in her Crimson, CO series with a couple of characters who each have a painful past that holds them back from believing they deserve love and happiness. With a complex plot, we get a sweet love story, as well as take a walk through sad times from the past to reach that happy ending once and for all. Great story! Lucy Renner can thank her mother and her habit of collecting husbands for her lack of belief that happily ever after is out there for her. 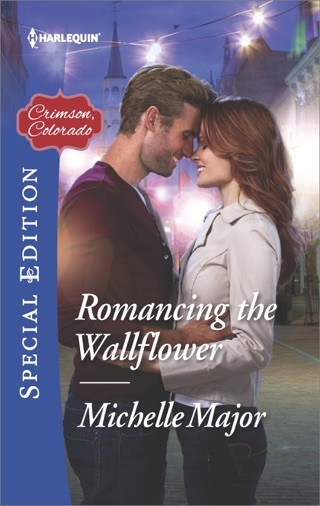 With a heavy heart, she treks to Crimson, Colorado when her Mom calls and says another walk down the aisle is in her future! 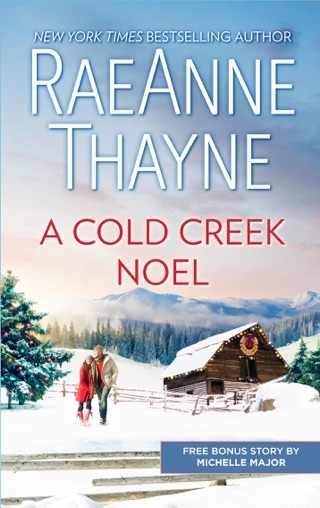 When she arrives and is instantly attracted to the gruff, rude man cuddling a baby kitten, she's not sure she's going to be able to stomach this Christmas adventure! 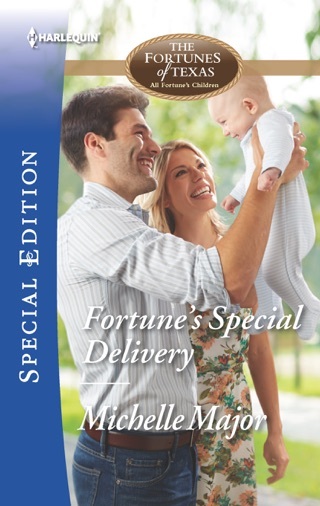 Former soldier Caden Sharpe doesn't trust this woman his Dad tells him he's marrying after barely knowing her ... and now her daughter shows up to add to the mix? He's going to get to the bottom of what type of scheme these two are running before they can do any further damage to his father!